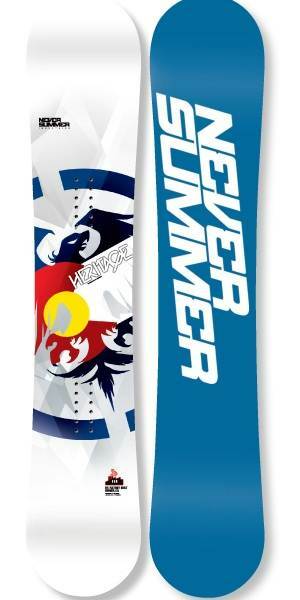 The Never Summer Heritage has been revived in many ways as the board it used to be. It’s got a forgiving feel on snow that you wouldn’t expect from its flex and its a good choice for those that want a little more mellow ride than the Chairman or a little more float than the West. Conditions: Some light leftover powder covering some bumpy terrain. The Never Summer Heritage is like a snappier more aggressive SL but it still is pretty forgiving due to the hybrid rocker camber profile. It’s a pretty fast, semi-aggressive but still forgiving all mountain hybrid rocker board. The 2011-2015 Never Summer Heritage hasn’t changed too much. The only thing we noticed and it might be in our head is it seems to get slightly more stable between the feet in the latter years so it’s a little better in hard pack when it comes to flat basing and one footing. Other than that it’s almost the same board….well at least to us. Set Up: Centered and Set Back. Usually 22.5 inches to 23 inches wide. 15 front -6 back and 15 front -9 back. On Snow Feel: The Heritage is pretty aggressive but it still forgiving. 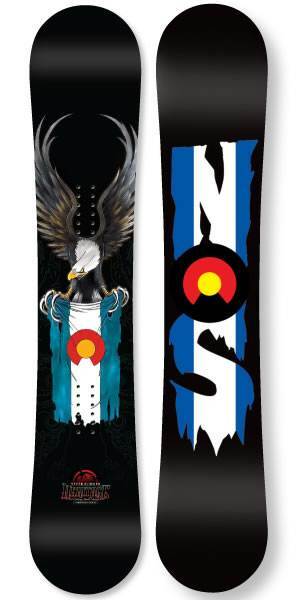 It has that feel that is stable between the feet in softer snow but gets a little loose between the feet like most hybrid rocker boards have when the snow is harder. Despite this semi-stable feel it still feels like an aggressive all mountain to even freeride ride that is happiest riding around the mountain. Powder: This is where the rocker/camber really shines. 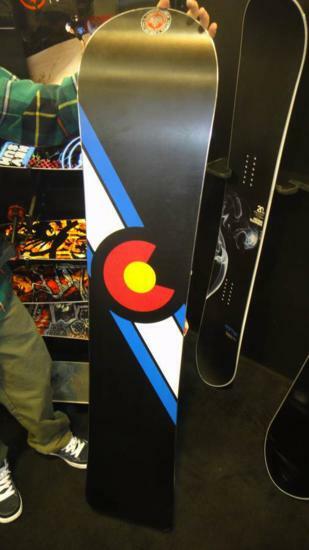 The Heritage has a nice directional float in light Rockies powder to even thick Sierra Cement. It borders on being excellent and even stands out for hybrid rocker boards when it comes to easy float. It’s not super quick in the trees but quick enough to feel comfortable and it’s really fun in wide open steep faces and chutes. The mid 25 to high 25 cm waist makes the ride less quick if you are a size 9 boot and below but in the 10-11 range with the bigger models it will be pretty quick negotiating through tight spots in the deep stuff. Turn Initiation and Carving: The Never Summer Heritage’s damp semi-aggressive design and somewhat wider waist that borders between wide and mid/wide it is pretty easy to turn but its not the easiest hybrid rocker board we have come across. 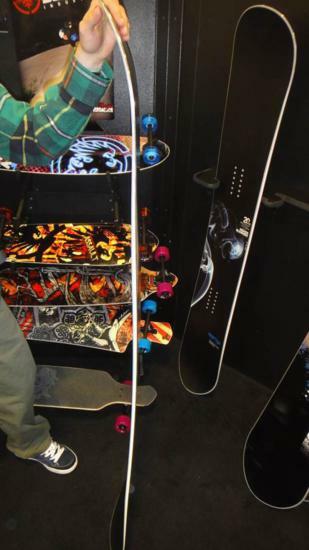 The side cut and hybrid rocker contribute to making this board perform a lot better when leaning into a turn than you would think for it’s flex. You can transfer from edge to edge very well. You can also carve out a pretty decent turn. It’s not a camber or mostly camber ride but it’s got a decent spring out of a hard carve and it didn’t wash out in good snow. Speed: We feel that as long as you are on edge the board will perform well at almost any speed. The one problem is the board feels a little unstable on a straight line in harder snow if you try to flat base your board. Other than that it’s got a damp ride and a pretty fast base that keeps it’s momentum in the flats. Uneven Terrain: It’s not as easy as the Cobra or SL but it still handles rough terrain very well and feels like it has some shocks in there. Weight– This board is pretty light for Never Summer. They usually make their boards a bit on the heavy side. We don’t mind either way if they ride like this. Edge Hold: Very stable and grippy. It’s not going to be something you want on an icy or really hard pack day but it does well in almost any condition you would want to ride in. Flex: Pretty stiff and kind of snappy compared to the more rubbery feeling the SL has but not completely out of the playful range. Jibbing: Not that bad for an all mountain to borderline freeride board. You can butter a bit past it’s camber profile but a stronger rider would like it more for buttering than an average rider. Switch: Not when it comes to riding switch for a directional board. The less contact with the snow in the tip/tail probably make it easier. It still feels different and it’s no twin but it’s very doable. Jibbing: It’s not too bad but there are many boards we’d rather be on before hitting the jib park. It’s fine for the bonk here and there but it’s snappier/stiffer flex isn’t going to be fun on technical rails. After making a few turns the first time on the Heritage I chose to try an avoid the Jib park. Pipe: We were very impressed on how the board holds an edge on an icy pipe wall and how forgiving it is when it comes time to land. It runs a little bigger and the camber in the tip tail helps you carve well enough through the flats. It’s just a little on the long side to be a perfect pipe board but most will have a blast there. Jumps: Stiff enough to land a huge kicker and the rocker makes it pretty forgiving when a little off on a rotation. It pops pretty well and it’s pretty good for the ollie off natural terrain. It’s not a small spinny park jumper but it’s excellent throwing it into the air on the mountain. There are better boards out there but the Heritage is definitely at the upper end. We try to get as many images of the Never Summer Heritage, but forgive us if they're not all there. with spring came the ice. No problems with hard pack at all (at least for me) but with ice the front half of the board has to be compensated for otherwise one will be sliding downhill for a few yards. Other than that, I spent most of the season on d-b-d @ arapahoe basin having a blast. It needs a good pair of boots though. I changed from a pair of rulers to malamutes. It was like awakening a beast. I bought this one as suggested by you guys. I managed to get a 2012-2013 special edition (black) on sale. Not much different from this year's and better looking than the standard white one. After several sessions, even though it is early season, your recommendation was on target: solid, fast, damp, and nimble ride. P.S. the deck is the 166 Heritage X. Back when I was looking for a new setup from my old Ride gear, I came to The Good Ride looking for help. I could not find exactly what I needed because of my 6'5" height and large shoe size of 15. After a couple back and forth emails with James Biesty(had to give this guy a shout out! ), he helped me narrow down my search and finally I decided on one of his suggestions, the NS Heritage X 163. It is my first camber rocker, so I can imagine I may be bias, but I absolutely loved it. My experience with larger boards usually resulted in below average carving, but this was anything but the case. I found myself overturning as I only had to gently imitate and the board seemed to do the rest. The result? the ability to turn on a dime, holding edge and complete control even at top speeds. The dampening technology was another huge bonus. I was able to bomb down groomers at any speed, never losing control or getting those nasty vibrations. Jibbing with a huge board can be a task, but there as well in the park, it still responded very well. Off of jumps it has a nice spring and lands very soft. Great flex for those who like the butter. Overall I highly recommend this board. Thanks again James Biesty and TheGoodRide! I'd been riding a soft freestyle board with soft boots n bindings for a while and realised that the setup just wasn't cutting it for fast first morning groomers, and side and backcountry missions. The moment I took that first run on the Heritage (2012) paired up with SF45's and a pair of Imperials, I knew I would probably never go back to a soft setup. 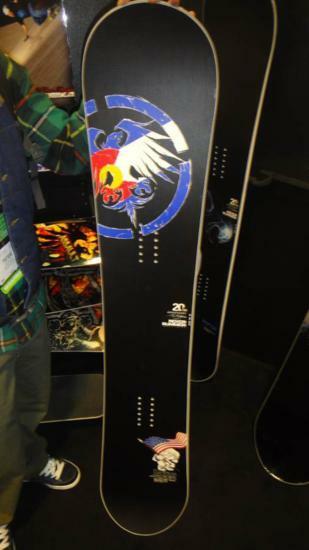 This board is a great step for riders aiming up toward freeriding. The Heritage goes as fast as you dare down groomers, taking note that you feel more stable when you've got an edge in, and performs really well through deeper pockets due to its backward stance and hybrid rocker. I rode the Heritage in Japan most days when the powder wasn't on and it will be the go to stick for everyday riding in firmer New Zealand and Australian conditions. When you're done with jibbin' out in the park, this board will keep you feeling solid underfoot everywhere else - although as per the review the Heritage performed really well in natural half pipe gullies also.